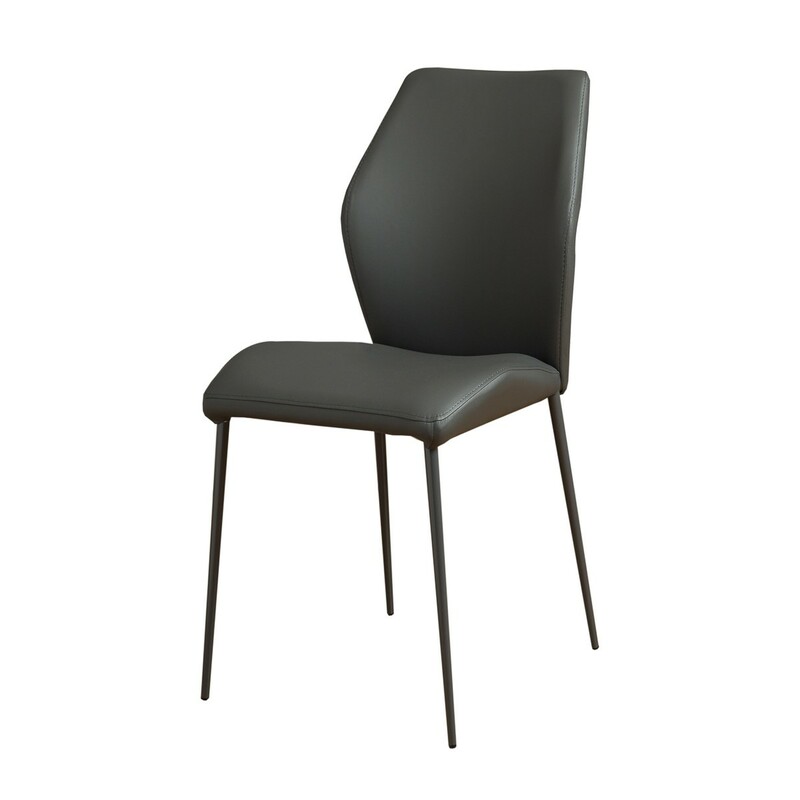 This smart dark grey dining chair with metal legs is perfect for a contemporary dining room. With measurements of 61.5 cm by 44.5 cm by 88 cm, the chair has a padded seat and back for extra comfort. Chosen by our design team for quality at an affordable price, this chair is also a space saving design. The hard-wearing modern fabric in dark grey is practical and easy to maintain, offering long-lasting style. 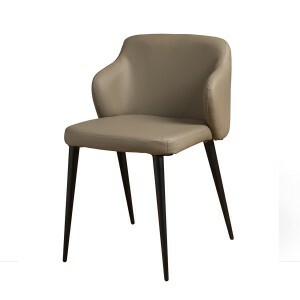 Part of Retail Furnishing’s extensive furniture collection, this dining chair is sold singly, so you can buy one, a pair or as many as you need to suit your living space. This dining chair is both practical and comfortable, offering sleek modern style. The deep grey shade looks superb with a glass or metal table. It is also a good partner to plain white. This is a useful extra occasional chair in a home workspace or living area.